Browse and book your preferred hotel with ConferenceDirect, the official World Congress housing company. 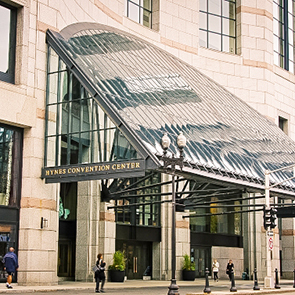 Booking with ConferenceDirect gives you access to the negotiated per diem rate and group rate of $273 at the top six hotels closest to the Hynes Convention Center. PLEASE DO NOT USE ANY OTHER HOUSING COMPANIES! Book early for the best selection and price! Don't forget to add your hotel rewards number when booking to receive points for your loyalty program. Rooms must be booked by July 6, 2019 to qualify for the group/per diem rate. There will be a $30 cancellation fee charged to your card if you cancel your room after June 14, 2019. On-site parking is available at the Hynes Auditorium Garage located at 50 Dalton Street, Boston. Rates are subject to time. 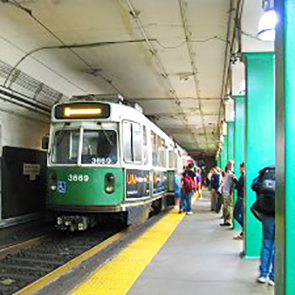 The Logan Express Bus - Back Bay Station is a great option for those staying in the Back Bay. It stops at all terminals at Logan Airport. Scheduled times for departing Logan from Terminal A occur at :00, :20, and :40 past the hour. Departure from other terminals is a few minutes later. Be sure to allow extra time during rush hour periods. Cost: $7.50 by Credit/Debit Card or $3 if you have a valid MBTA Card. No cash accepted. Hynes Convention Center - Take the CT1 or 1 Bus to the Hynes Convention Center stop located at Massachusetts Ave, Boston, MA. The Hynes Convention Center is right next to the Green line Subway. The stop is 100 Massachusetts Ave. Take the Green Line B, C, or D to the Hynes Convention Center Stop. If you are unfamiliar with getting to this Subway station, check out the Subway Fares and Departures here. The general cost for riding the MBTA (Massachusetts Bay Transit Authority): $2.75 single fare (CharlieTicket/Onboard Cash), $2.25 with a preloaded Charlie Card. Use the Silver Line SL1, take the MBTA Red Line or Commuter Rail to South Station and transfer to the Silver Line Route SL1. The Silver Line SL1 will drop you off in front of your Logan terminal. The Silver Line SL1 runs from approximately 5:30AM to 12:30AM every day of the week. A taxi from Boston Logan International Airport to the Hynes Convention Center will cost approximately $20 to $35. As of February 1, 2017, both Uber and Lyft will drop off and pick up from Logan Airport. Customers using a TNC (transportation network service) may only be dropped off at any departure location and picked up in areas designated for TNCs. The designated pickup areas are all located on the lower level (Arrivals) at the airport. All designated pick up areas are indicated by an "App Ride/TNC" sign. 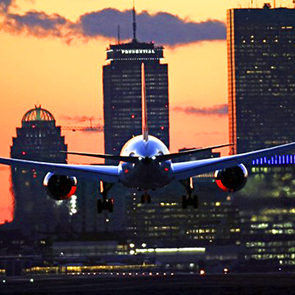 When it comes to Logan Airport shuttle and Boston Airport limousine services, don’t settle for anything less than the best – and that means booking with GO Boston Shuttle. They provide reliable, convenient, and affordable airport transportation alternatives. GO Boston Shuttle's Boston airport limo service can be booked online by clicking here or by calling 1-888-437-4379. Their Logan Airport limousines are stylish alternatives - great for business travelers!